We heard you like to win precision rifle competitions? 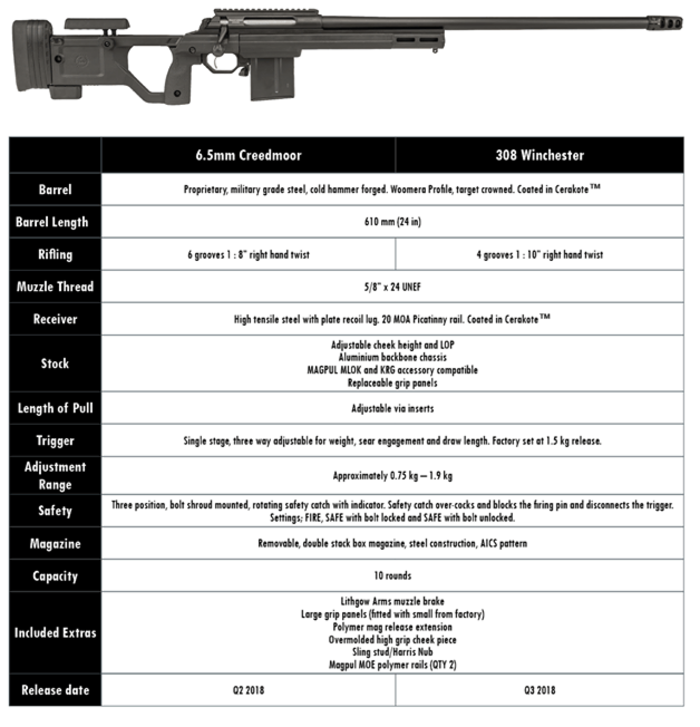 Lithgow Arms is proud to introduce the LA105 Woomera in 6.5mm Creedmoor and 308 Winchester. Born from our recent experience in PRS competitions in Australia, and developed with the advice and experience of Australian and US military snipers, the rifle delivers full custom fit, finish and performance for the everyday shooter. The LA105 is fitted with a heavy barrel and adjustable precision rifle stock, 10 round magazine, 20MOA Picatinny rail and muzzle brake. 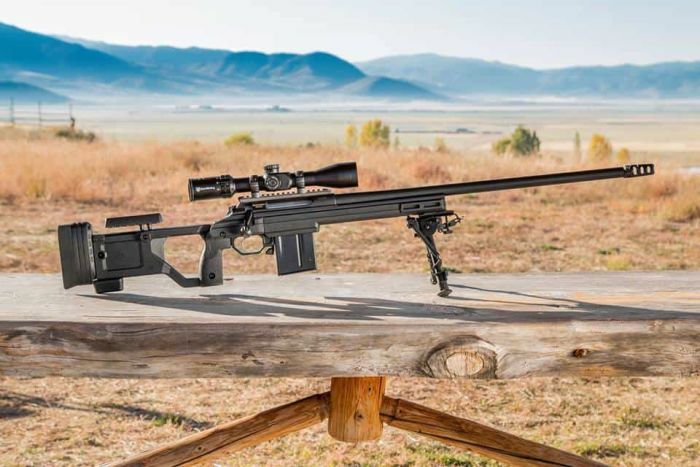 The LA105 is long range competition ready out of the box.